Money is challenging. No matter how we look at it, it’s challenging. Money can be especially challenging in a church plant. Unless you are planting a church with the backing of an organized denomination or church planting network, most church planters get a slap on the back and a ‘We’ll pray for you’. Now this is no doubt a viable church planting method (Calvary Chapels have planted over 1200 churches this way in 40 years doing largely that). But how does a church get off the ground with no outside support? The answer is simple. You cut the cloth according to the measure. I’ll explain the concept. I remember when I planted the church in New Brunswick, NJ. The church that I came out of helped me afford the move cross the country and sent me a few hundred dollars for groceries about three times. That’s all the outside support that we received. So when it was time to start the church. We had almost nothing. We pieced together a sound system with mostly old beat up equipment. We couldn’t afford offering baskets so we bought a wicker basket on sale at the local arts and crafts store. We made some bulletins on some colored paper. We had little so we spent little. I distinctly remember when a church sent us a $500 gift and we were excited to buy ourselves a rack mounted cd burner to write the sermons to disc. We couldn’t afford to rent anything so we launched in the Rutgers University Student Center. It was free of charge as were an affiliated campus ministry. We met there at 2 pm on Sunday afternoons. We couldn’t afford to pay any sort of rent until some 8 months later when we could afford $400 a month to rent out the basement of a church that was built before the Revolutionary War. The church office was my bedroom for the first 2 ½ years of the church. 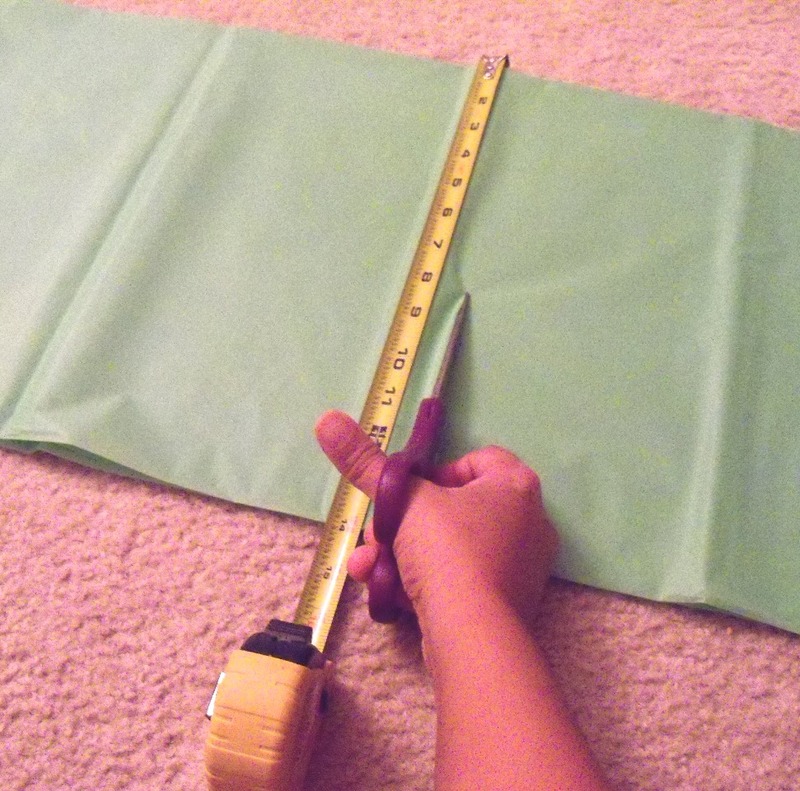 We had to cut the cloth according to the measure. We had little resources so we had to do without. When I planted the church in Mill Valley, we were blessed with some start up capital. The church in New Brunswick also made sure that we started with communion trays, offering baskets, and Bibles. Some wonderful folks blessed us in different ways and we were able to rent an office and Sunday morning worship space from the very beginning. It was a totally different experience than the church in New Brunswick. We had more resources so we were able to do more. We launched with a fully blown Media Ministry and a laptop with looping video backgrounds. I know a church planter who was fully funded by a major church planting organization. He moved into a new area with a salaried staff, an office, and resources galore to do numerous types of outreaches. But after a few years, when the outside support started to dry up, the church had to shut down numerous ministries and scale everything back. The church couldn’t afford all that it was doing without the outside support. It was a very challenging season for the planter. Many of the people in the fellowship felt that something was wrong with the church as things were shutting down. But the key is that the church planter has to be realistic about what resources are available. Don’t get ahead of the Lord. Do the best you can with what the Lord has provided. No matter what, we need to cut the cloth according the measure. God wants us to be good stewards of what He has entrusted to us. Good word of caution, my friend. Thanks for sharing. Thanks, Daniel. We have planted two daughter churches and here’s how we handled the sending and start-up monies over a period of six months. We wanted the people (those staying/those planting) to know that we were firmly behind these new works. This schedule was a real blessing to the pastor and his family in this transitional period. One church became fully self-supporting during this ramp-up time. In the other church, the pastor is still bi-vocational. The six month schedule served as a booster rocket to get the churches launched. I love how you not only let the planter leave but you sent him out! I know that Bill Walden does a similar thing. As a church planter, I love it and wish more pastors would get behind a work instead of simply allowing it happen. Good word, Daniel. There really needs to be something in between nothing & everything, like what Tim shared. I’m involved with a new church plant in our area out of a well-established one. Thankfully, they’re not over-reaching the budget, although the lead pastor is still getting a salary from the mother church. When I planted in the SoCal high desert (in ’78), it was like the NJ plant. We started with nothing & I went back to work full-time. Amazingly, God used that early time to teach us how to walk by faith at a greater level, and those early relationship built during that time became a harvest in succeeding years. The same situation exists for sending out missionaries overseas, except there’s no option for going out & getting a job. What I appreciate about the plant we’re involved with is how the vision of the plant has been embraced & encouraged by the mother church leadership. I think that’s also key… but financial support is nice too!